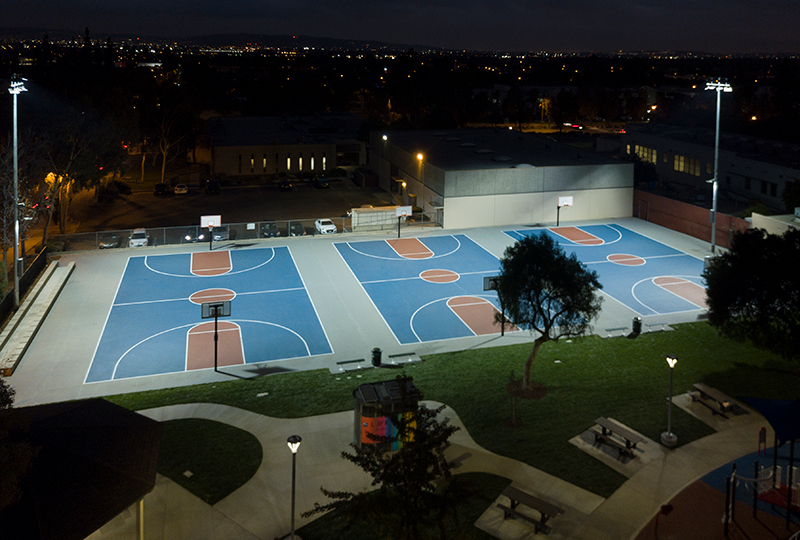 “Musco Lighting was the perfect partner for the City of Monrovia and the Julian Fisher Park Renovation Project. The Musco team was professional, thorough, and customer friendly. 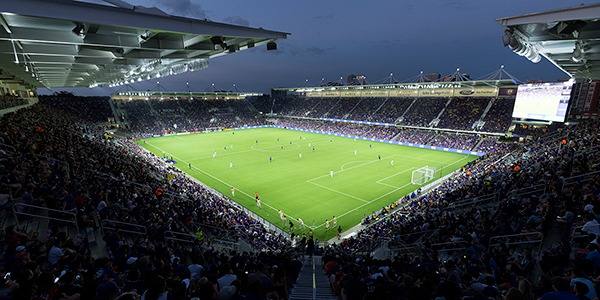 And the state-of-the-art LED lighting system has not only reduced our electrical use, it has also improved the overall park lighting dramatically. We were more than satisfied with the entire project team at Musco and the quality of their solutions." Named after the city of Monrovia’s first African-American police officer, Julian Fisher Park has been a popular community gathering spot since it was first dedicated in 1981. As part of a major renovation project, city leaders determined that new sports lighting was needed for the park’s three basketball courts, which were being re-surfaced. 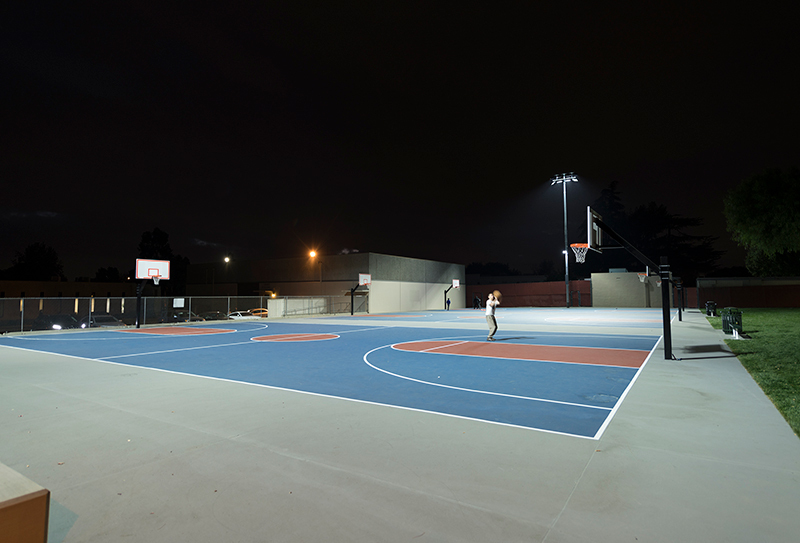 Total Light Control – the custom optics and patented glare control technology virtually eliminates glare and spill from impacting homes directly across the street to the east, north, and northeast of the park. 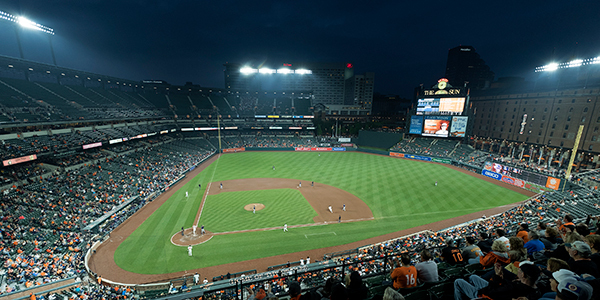 Customized Design – Musco’s experienced engineers and project planners created a two-pole system design with TLC for LED fixtures that met the specific lighting needs at the park. 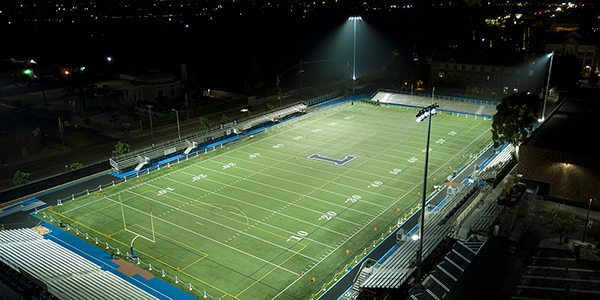 System Solution – the Light-Structure System™ solution is complete from foundation to poletop, with lighting, structural, and electrical components designed to work together for long-term reliability. 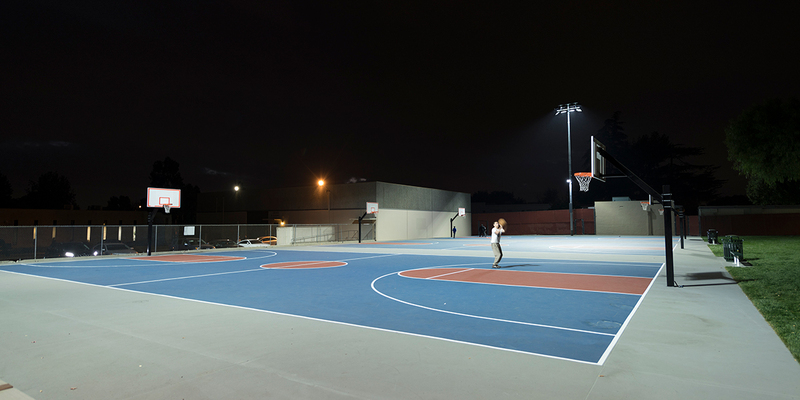 Energy Efficient – with the new LED lighting in place, energy consumption at the park will be reduced by 51 percent compared to typical metal halide equipment. Additionally, with Musco’s long-term warranty covering parts and labor, the city of Monrovia won’t have to worry about handling maintenance to the lights, or paying for it, for 25 years.